Interview about “Caliber 0100” by Citizen is published on “WIRED”. 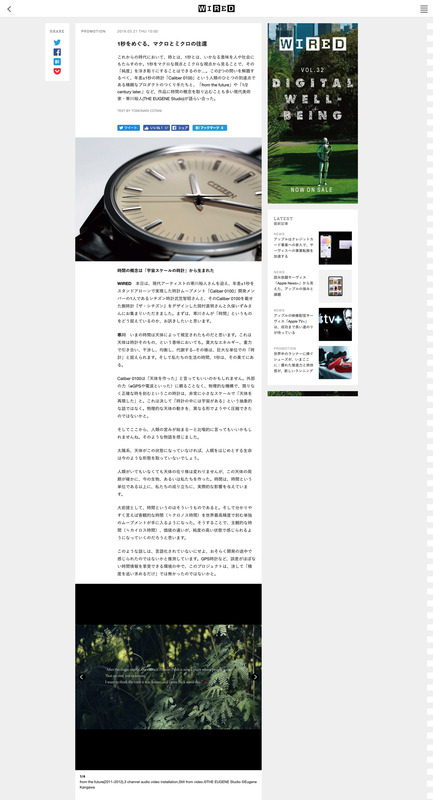 On “WIRED”, an interview about “Caliber 0100” by Citizen is published. Invited by researcher and designer from CITIZEN, Kangawa talked about “Caliber 0100” a new watch with an accuracy of ±1 seconds per year and “time”.